Since my friend has just arrived at Tokyo the previous night, we had a "lighter" trip for the first day. But, apparently, Kamakura and Enoshima are very crowded with Japanese people since these places are one of the closest excursion place from central Tokyo (around 1 hour) so it's quite exhausting. From Shibuya station, you could use Tokyo Toyoko line to Yokohama and change to JR Yokosuka line to Kamakura. In case you want to check train schedule, I suggest you to use Hyperdia. 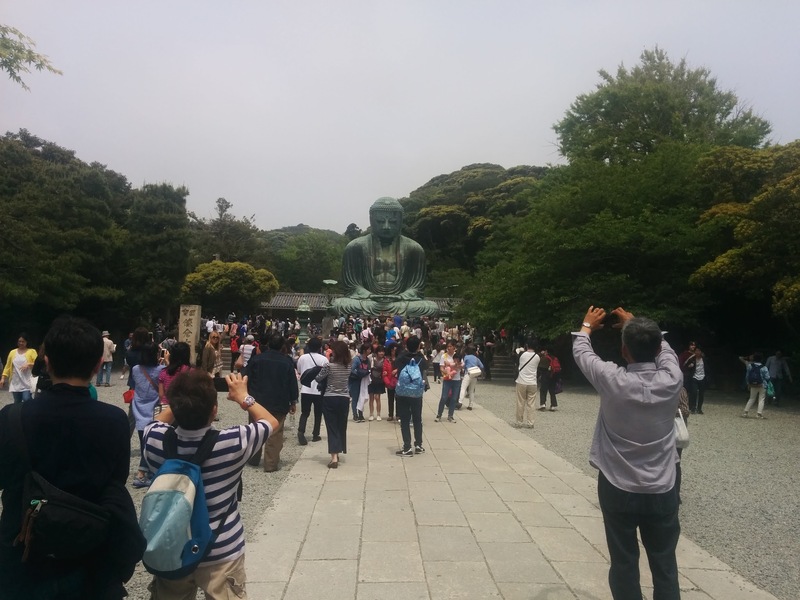 In the morning, we went to Tsurugaoka Hachimangu and Daibutsu, or well known as Big Buddha. There are a lot of shrines in Kamakura, so it's quite impossible to visit all of them in one single day. In the afternoon, we went to Enoshima using Enoden line. Enoshima is basically an island which is connected to the mainland by bridge. You can find a lot of "shirasu" (シラス) foods there, ranged from rice-topped one, croquette one, etc. The observatory view from here is quite good. Also, we visited Iwaya caves which is located alongside Enoshima's cliffs area. 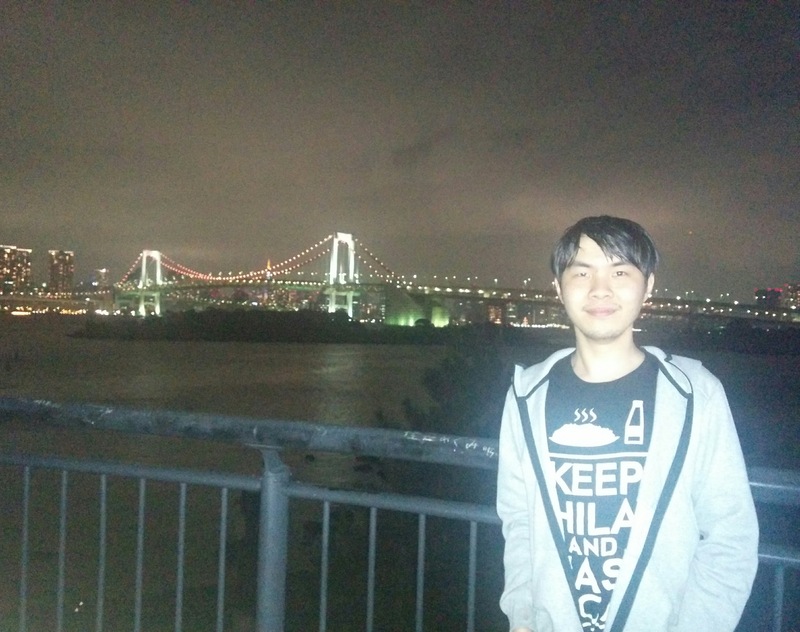 In the evening, we decided to go to Odaiba. From Kamakura station, you could use JR Yokosuka line to Shimbashi. From there, you need to change to Yurikamome line (well known as one of the most expensive line :p) and this train basically encircles Odaiba area. So, my friend from Indonesia raised a flag by saying "I don't want to drink alcoholic drink since I feel lack of sleep today". 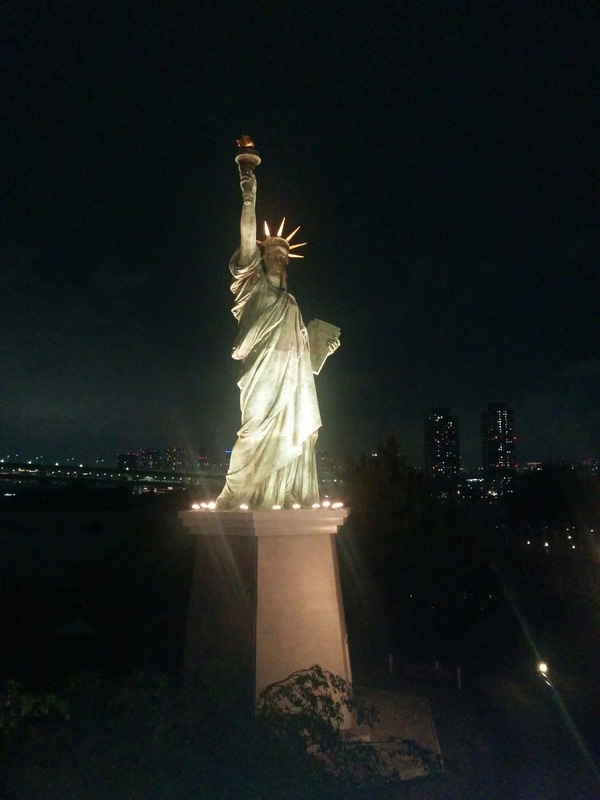 (Un)surprisingly, the goddess of fortune was kind enough to provide us with an Oktoberfest festival in Odaiba. And . . . it's not even Oktober. As expected from Japan, isn't it? 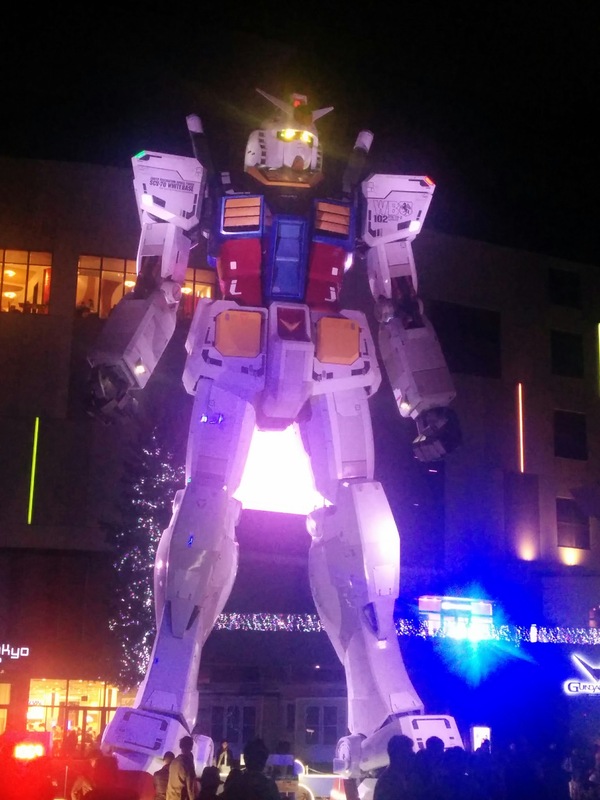 xD Putting that aside, there are at least 3 famous things that you should visit here: rainbow bridge, mini statue of Liberty, and Gundam. Our first destination was Ashinoko Lake. Fortunately, the weather was quite good so we could see Fuji-san clearly, thanks God! 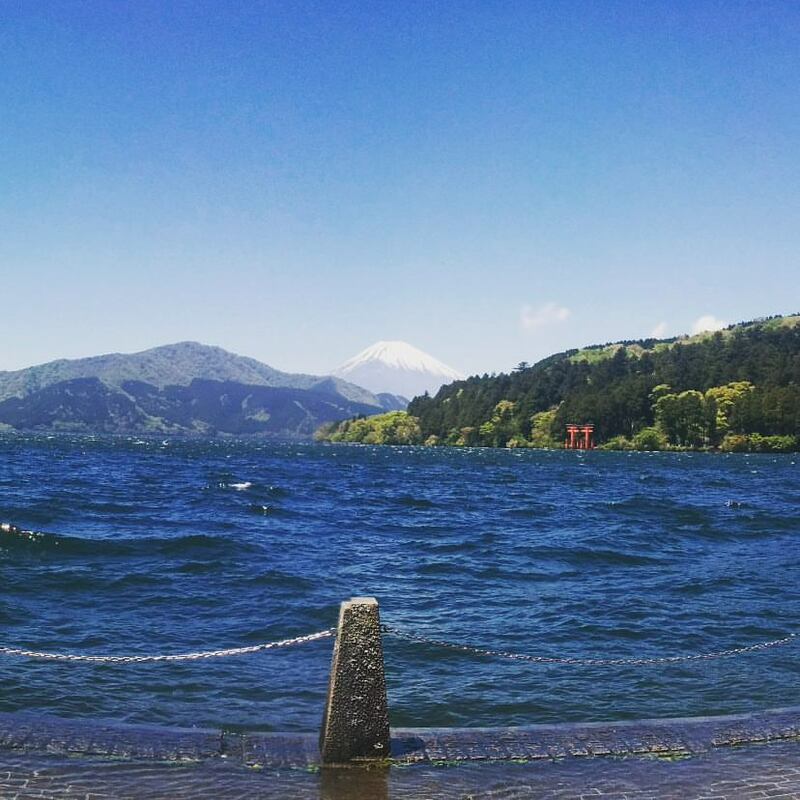 Actually, this was my second trip to Hakone and I failed to see Fuji-san during my first trip. After that, we sailed with the sightseeing cruise, feels like One Piece indeed. Unfortunately, the ropeway was closed with a super funny notice: "It suspends it". We tried to comprehend the given message so hard, but . . . we failed. Shortly after, we decided to take a direct cut to Gora with bus, which I regretted it later on. We stopped the bus in the middle of nowhere and we also failed to comprehend why they decided to put a bus stop there. If you ask me the reason why we ended up there, the map which is provided at Hakone-yumoto station does not give name labels to every bus stops (only large bus stops). After walking for a while, we found the legendary "Gora shortcut", which I think they should give that shortcut a better name: "1000 stairways to Heaven (or Hell)" or "1 km of stairways". 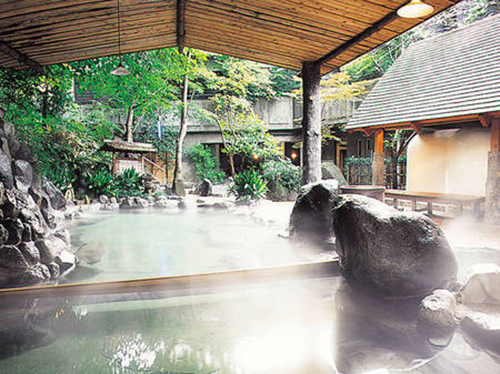 We closed the trip with Tenzan Tohji-kyo Onsen. 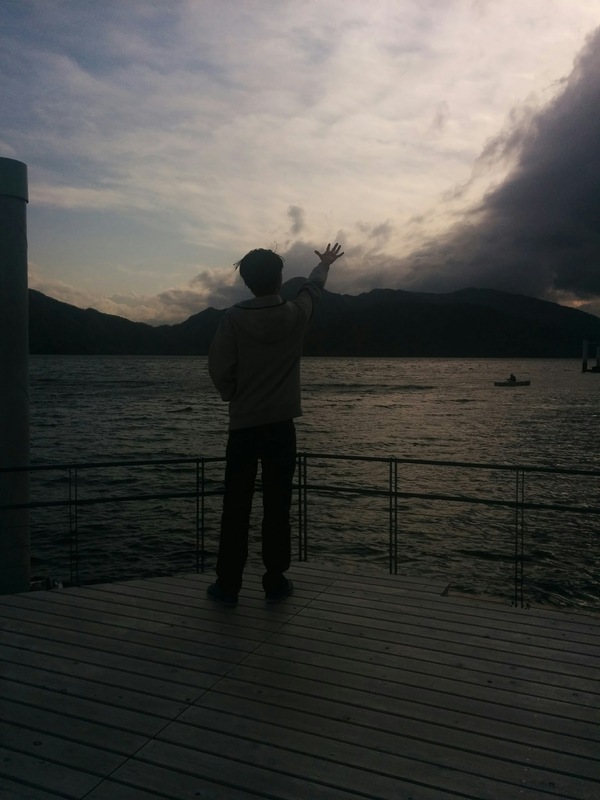 It's indeed a 天 (Ten: heaven) after walking for hours in Hakone. Tenzan Onsen photo is taken from here. Well, you could not take a photo inside an onsen. Actually, you could, but . . . never mind :p And, don't ask whether it's a mixed one or not! At the third day, we decided to visit Fuji-san, and in addition to that, we also went to the seasonal Shibazakura festival. During holiday period, you could use "Holiday Rapid Mt. Fuji" train from Shinjuku station, which bounds to Kawaguchiko station directly without additional cost! 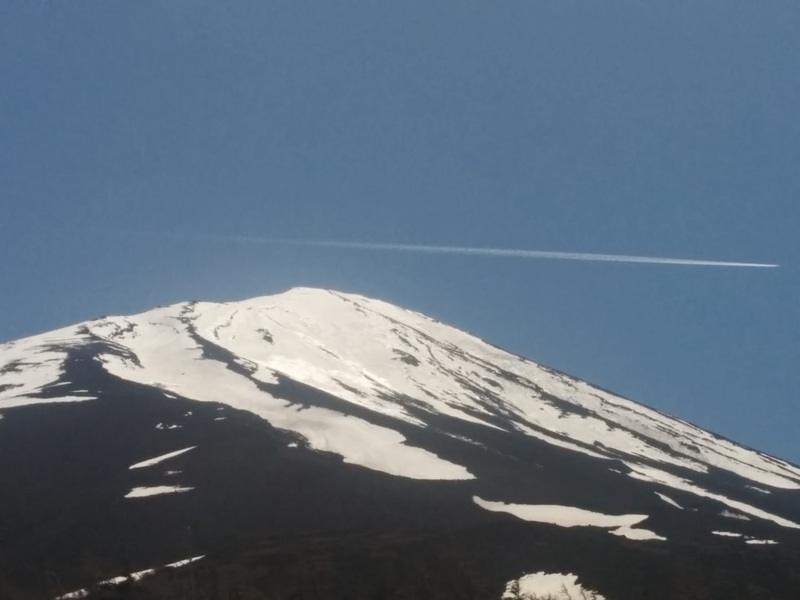 The journey between Kawaguchiko station to Fuji-san fifth station can be taken with bus and it's not that crowded since one can only hike the higher area (fifth station and up) during Summer season. The real problem was the other destination, Shibazakura festival. From Kawaguchiko station, you need to pay 2000 yen for round-trip and entrance to the garden. If there is no traffic jam, it is expected to take 30 minutes between Kawaguchiko station and the garden. Reality? it's never been better. If you're lucky enough, the journey will only take an hour, otherwise, well . . . good luck with that. 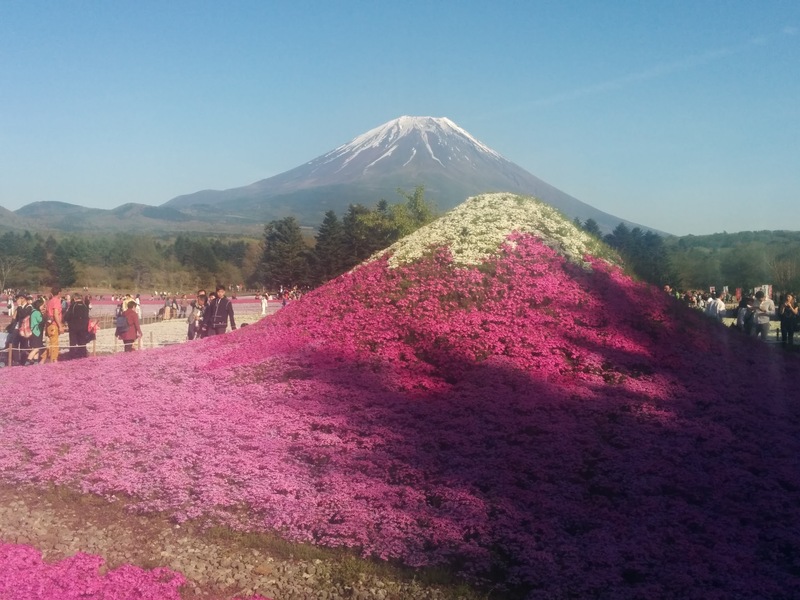 The scenery was beautiful: a lot of Moss Phlox flowers with Fuji-san view. I think this place is quite popular for date, well, except if you're dating yourself and 2D waifus. Let's stop this discussion right here. Return trip was quite annoying since they didn't provide us with "Holiday Rapid Mt. Fuji" train any longer. So, we need to hop between local and express train several times before arriving at Central Tokyo. It's time to call it a day with 24-hour Ichiran ramen! We started today's journey from Shinjuku Area: Shinjuku gyoen (garden) and Tokyo Metropolitan Government Building. If you asked us why we decided to visit a garden in the middle of city amongst hundred of tourism attractions in Tokyo, the answer is this *kotoba ni dekizu BGM plays*. Initially, Tokyo Skytree was in our plan, but the forecast for that day was not that good and we decided it's not worth to pay another 2000 yen++ to visit Skytree in the midst of this weather. 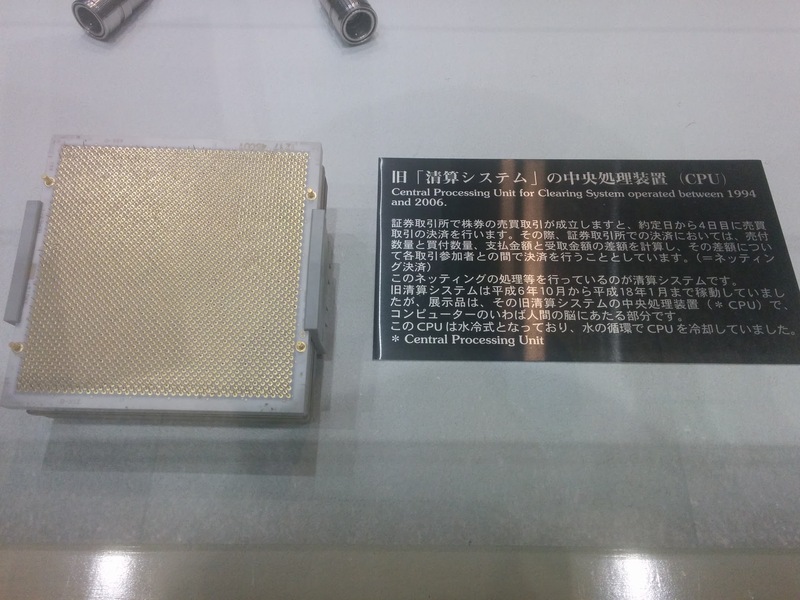 Instead, we visited Tokyo metropolitan government building, which has a free observatory deck in it. 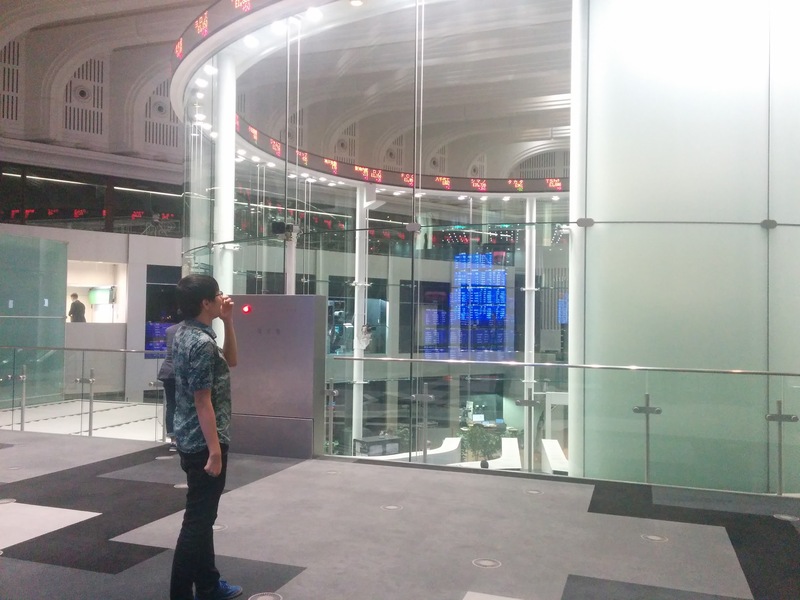 So, my friend who has just come from Indonesia, he wanted to visit Tokyo Stock Exchange building in Nihonbashi. I was expecting we could find the building in 6 minutes from the station (600 m), except if the expectation itself was a very, very bad flag. Since we didn't have mobile data in our phones, we went to the wrong direction and we arrived at the building 60 minutes later. 10 times longer than my expectations. Argh. We decided to call Nihonbashi as "Leobashi" from now onwards. At first, the initial schedule was to visit Asakusa. However, god of rain did not agree with our wish, so we forfeited our initial plan and decided to go to the "Holy Land" of Akihabara instead. FYI, we finally went to Asakusa on the sixth day (Sunday). Perhaps, one of the most famous thing in Akihabara for non-muggles is Yodobashi, where you can find a broad range of electronics, ranged from audio-related devices, cameras, and so on. The other stuffs will not be discussed here for "security" purposes. This day was one of the most exciting one since this was also my first experience to visit Nikko. 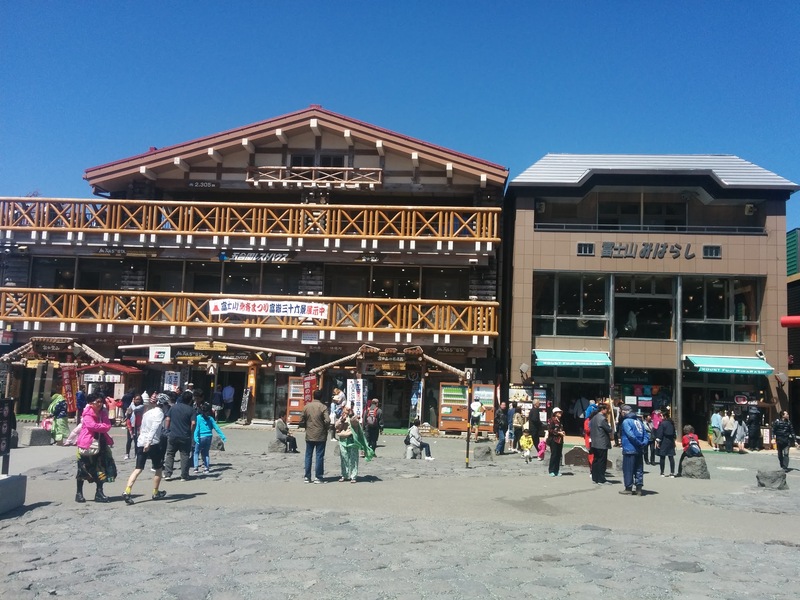 As usual, it's recommended to buy All Nikko Pass from Asakusa station. The selling counter opens at 07:45 and we came to the station at 07:15, so it's preferrable to buy the pass a day before departure if you want to visit Nikko for only one day. We paid another ~1000 yen to ride on the Limited Express train, which I believe it's quite worth its price since it has Shinkansen-like seat with free Wifi on-board. We arrived at Nikko around 10 in the morning. 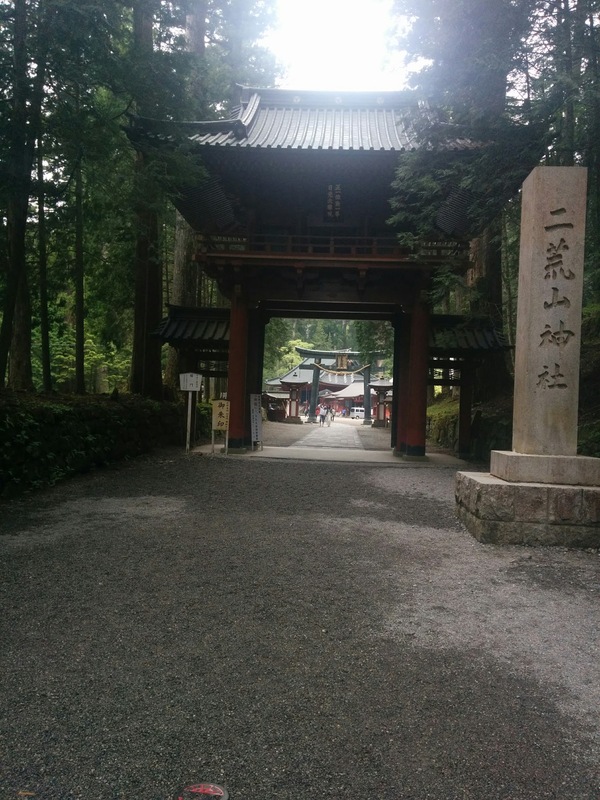 Our first destination was Toshugu shrine, which is famous for the final resting place of Tokugawa Ieyasu. Toshugu shrine has a number of famous carvings, which provide us with a unique and Japan-ish feelings. 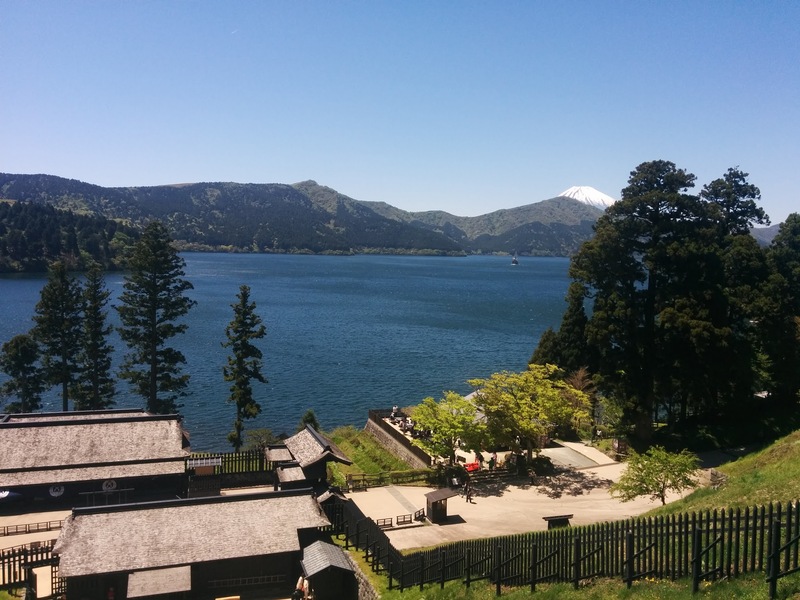 During our journey to lake Chuzenji, we took a half hour stop at Akechidaira observation area. 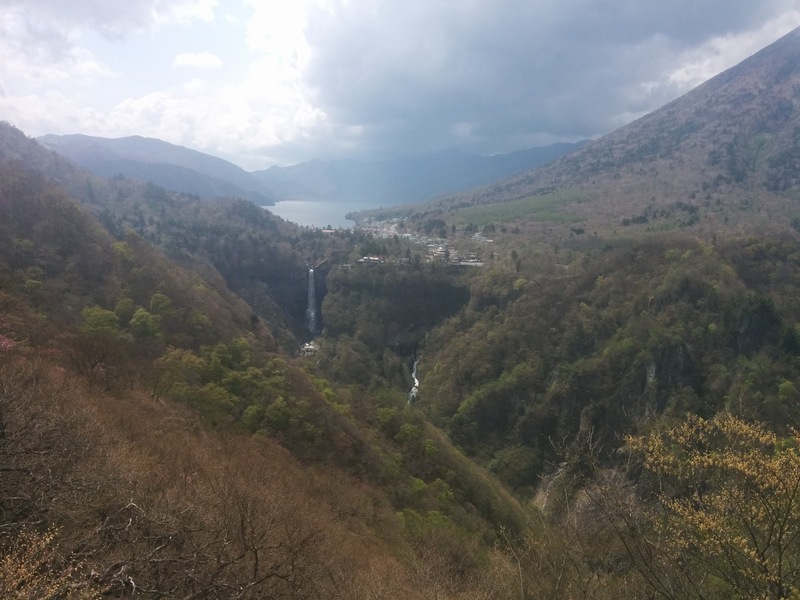 From this observation area, you could see an incredible view of lake Chuzenji, Kegon waterfall, and its surrounding area. 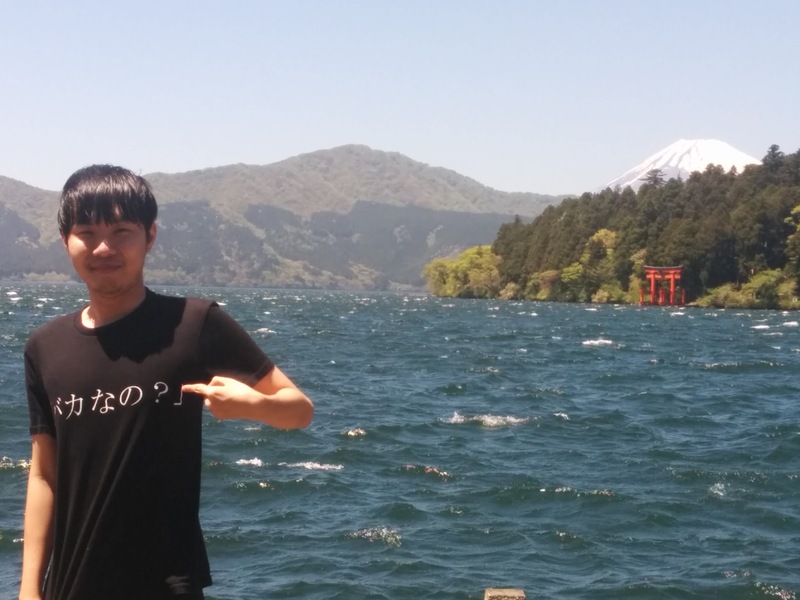 Lake Chuzenji (It's Chuzenji, not Cthulhu, and not Ashinoko for sure) and Kegon waterfall are close to each other, so we decided to visit both of them. We closed our trip with walking alongside the lake, breathing a fresh air, disrupting other couples, wait . . ., we didn't do the last one. Anyway. if you want to have a peaceful and not crowded compared to other tourism area, I believe you should visit Nikko. On this final day, we couldn't go too far from central area since my friend's flight was around 11 p.m. from Haneda airport. Since today's trip was quite mainstream, I don't think I need to explain Tsukiji, Imperial Palace, Asakusa, and Akihabara here. Tsukiji is famous for fish-related foods. There are a lot of famous Sushi restaurants in Tsukiji. If you have a plan to visit Nikko, I think you can rule Imperial Palace and Asakusa out from your itinerary plan. 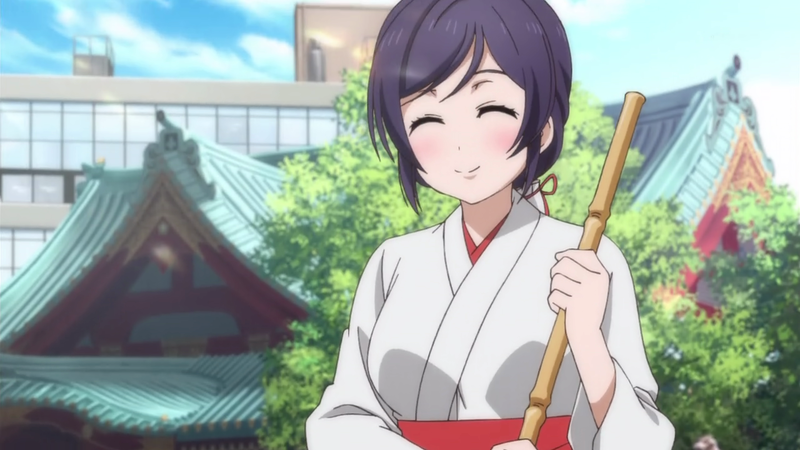 Finally, let's close this Golden Week with another Akihabara pilgrimage - Kanda Shrine! Six days passed in a blink of eye and we need to face the reality of life :') Anyway If you want more detailed itinerary plan or if you want to consult places that you want to visit, feel free to contact me. I will try my best to help you (and make you fall deeper and deeper). That's all for now. See you next time!